As a naturopath and personal trainer, I know my clients will never achieve the results they are looking for without a diet that contains the necessary nutrients for lots of energy and a strong immune system. This comes from eating whole foods, something most people do not get enough of. Two-thirds of American adults fall short of the recommended daily allowance of RAW fruits and vegetables per day. For this reason, I always try to include a one smoothie a day in the diets of my clients and their children. Including smoothies in your diet makes it easy to increase your intake of raw fruits and vegetables – and thus, valuable nutrients! No one can argue about not having the time to throw a few things in a blender. Plus, there are so many healthy smoothie recipes to choose from on healthy sites and blogs. But, beware, not all smoothies are created equal! Please stay away from the recipes that offer “QUICK FIX HIGH ENERGY MENUS” that include everything from ice cream to high fructose fruit juices, peanut butter, chocolate spreads etc. These are not healthy, do not offer energy and should be avoided. If you are purchasing a blender for the first time, be wise, spend the extra money and buy a very good quality, high speed one. Brands I recommend are Vitamix or a Blendtec. You can include the seeds when using these blenders, and the seeds are full of enzymes. The blades will not break from the impact of the hard seeds, frozen berries or other frozen fruits, and ice, and the results are fast! The less the motor has to run, the more your enzymes will stay intact. With this type of machine you can also make soups, hummus, and other quality meals. You cannot do this with just any blender. Trying to get the kids off to school and yourself off to work can make for busy morning and hurried breakfasts. Smoothies are a perfect solution for the whole family. My favorite morning smoothie suggestion is a handful of berries (frozen or fresh depending where you live), a banana, a pear, a good quality plant based protein, some coconut flakes or oil, and a sprinkle of hemp, chia, and flax seeds. The liquid suggestion is always water – NEVER FRUIT JUICE. Commercial fruit juices are very high in sugar and have no nutritional value whatsoever. The amount of water you should use depends on how much fruit you include and how you like your smoothies – more or less liquid. You may always vary your fruit choices depending on your taste. This smoothie recipe feeds you with vitamins, minerals, and good quality Omega 3’s, that will keep you satisfied until lunch! A great after school snack can be another time to include a smoothie. One recipe that is a favorite with kids is a frozen banana with a couple of teaspoons of almond butter and some water. Another great time for a smoothie is after your workout to replenish with good quality carbohydrates and protein. 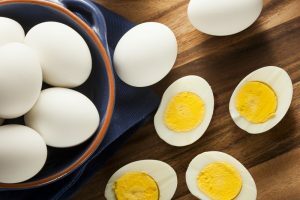 The same recipe as above would be great here, add in some greens such as kale, chard, or spinach to get that extra protein in! Smoothies are fun for the whole family, easy to make and easy to digest. I have never met a child that was not happy drinking a smoothie. If they are a “picky eater with green veggies,” this is a perfect opportunity to hide a green behind the taste of a favorite fruit. They will never know! 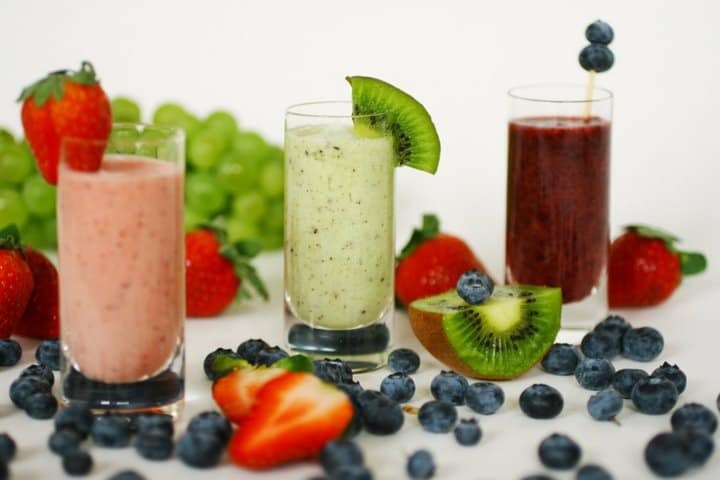 Smoothies can help you make a “smooth” transition to a healthy lifestyle! I am just starting to exercise. I need to lose about 120lbs. can anyone tell me how much protein I will need. I am planning on using a soy based supplement.